In terms of our demographic, we have quite a range of ages, some ‘less experienced’ young professional members, as well as several ‘more experienced’ Rotarians who have a wealth of knowledge and are really great mentors to those who are new to Rotary. Being a relatively small club, there are many leadership opportunities as we are a very active club. Some of the projects we have been involved with in the past 12 months include (but are not limited to): Boxing Day lunch for the homeless in Sydney at the The Station; a Sewing School for women in Nepal; scholarships for women at risk; building water wells and toilets in India; tree planting with Sydney City Rotaract; clothes collection and fundraiser for Dress for Success; four separate BBQ fundraisers; sponsoring young people to attend the Rotary Youth Leadership Awards and much more. We meet for breakfast at The Grace Hotel on York St on the 2nd and 4th Wednesdays of the month at 7:15am for a 7:30am – 8:30am meeting (we finish no later than 8:45am). Breakfast costs $25 each. We are also currently trialling an evening meeting on the 1st Wednesdays of the month at ZABOU Restaurant on the first floor of 99 on York at 6.30pm (no costs for these meetings but you can order food if you choose). The Darlings celebrated our 20th anniversary, we have raised more than $300,000 for the projects we support since 2007 (unfortunately previous club records have been lost). Rotary is a service organisation that is striving to make the world a better place. Rotary’s motto is “Service Above Self” and it has 1.2 million members, in 33,000 clubs, in over 200 countries worldwide. Rotary was founded in 1905 and works on local, national and international projects. Rotary has six areas of focus: Peace and conflict prevention/resolution; Disease prevention and treatment; Water and sanitation; Maternal and child health; Basic education and literacy; and Economic and community development. Rotary’s own charity, The Rotary Foundation has spent over 3 billion USD in making the world better since it was founded in 1917, mainly in the six areas of focus. Polio eradication is Rotary’s top philanthropic priority. 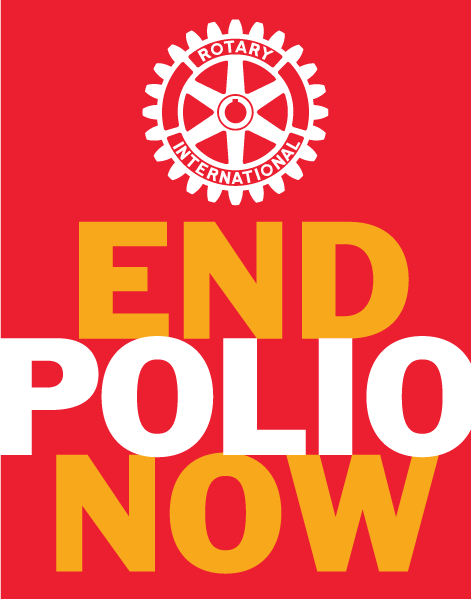 It was Rotary who initiated the quest for ending polio around the world, we started in 1989 when there were 350,000 people annually contracting polio, and in 2018 there have been only 10 cases so far (as at 8 June 2018). In 1988, when Rotary began working with its partners in the Global Polio Eradication Initiative, there were more than 350,000 polio cases in over 125 countries. Since then, more than 2.5 billion children have been immunized against polio, and the incidence of polio has decreased 99.9 percent.